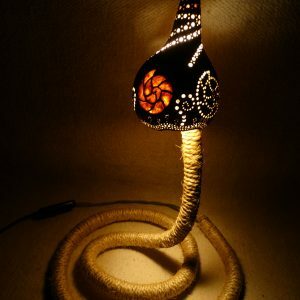 Symbol-Decorative lamp with a spectacular colorful. 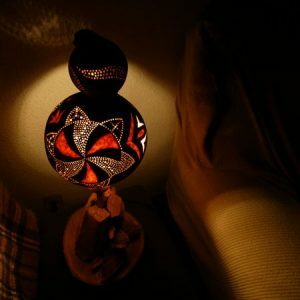 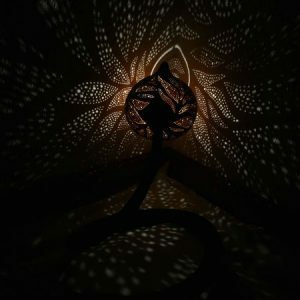 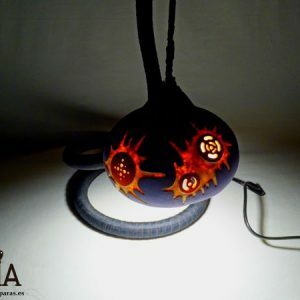 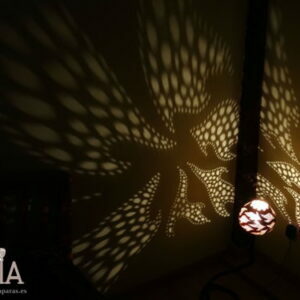 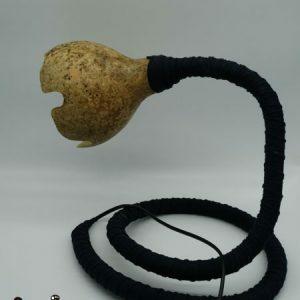 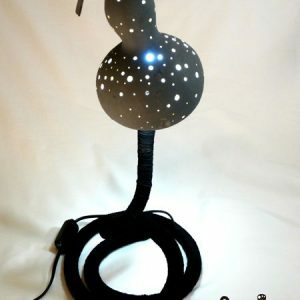 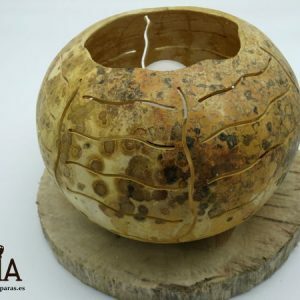 A handmade lamp made with a gourd that has been carved. 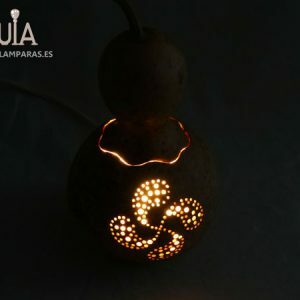 The base is made by hand with different diameters of wood, constructing a kind of circular pyramid.The gourd has been carved carefully with some Celtic crosses that are reflected in the wall. 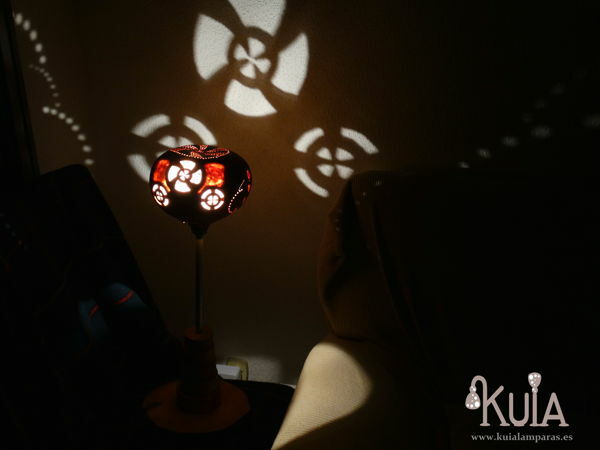 Thanks to the design of it, it emits a warm light perfect for the ambient illumination of any room.The pumpkin tulip has been painted with a bright red, and the crosses in black.This original table lamp is designed for a corner because it allows you to reflect on the wall your drawings.